This semester, San Jose State will open its first permanent food pantry to the Spartan family. We need alumni support to ensure that it will both meet the needs of SJSU students and reduce the stigma of hunger and food insecurity. The Spartan Food Pantry will be located inside the renovated and expanded Diaz Compean Student Union, a central location near many student services. The 1,000-square-foot space will offer fresh produce, fresh and frozen meats, milk, bread, canned goods, personal hygiene products and more, arranged in coolers, freezers and shelving much like modern grocery stores. The opening of the pantry will be the culmination of a decade of work that began in 2008 with the distribution of $10 gift cards, redeemable at campus eateries. A committee of faculty and staff members, administrators and students began meeting regularly to build on the initial efforts, including studies and solutions such as the Associated Students of SJSU Community Garden, an @SJSUFreeFood Twitter handle, and small food shelves in various departmental offices throughout campus. 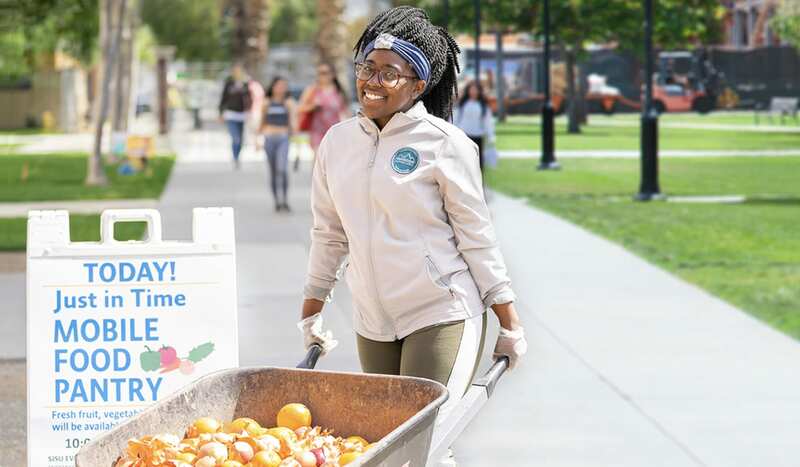 San Jose State and Second Harvest Food Bank of Santa Clara and San Mateo Counties began working together in 2015, when Second Harvest helped train SJSU officials on CalFresh registration for students. In October 2016, SJSU and Second Harvest introduced the Just In Time Mobile Food Pantry, offering foods on a monthly basis at no cost to eligible students. 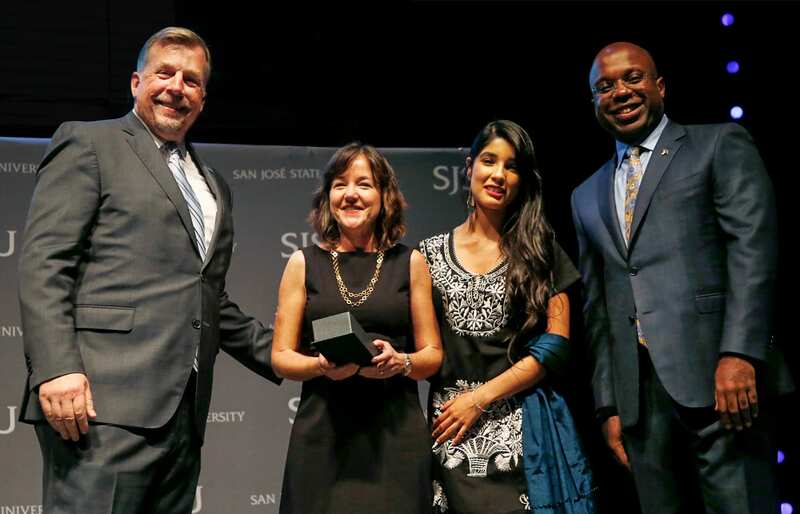 The recipient of SJSU’s 2018 Community Partner Award, Second Harvest now will fill the shelves of the new pantry with food, but we need alumni support for ongoing non-food items. Many food banks were born of efforts to eliminate poverty and racial injustice during the Civil Rights Movement of the 1960s. The new pantry is a testament to what we as a Spartan community can accomplish together. Help students move beyond the temporary challenge of food insecurity so they can move on to making a difference. $1,000: Supports 20 students with personal hygiene products for a month. $300: Stocks the quick bite zone for students who do not have constant access to a kitchen. $100: Supplies 50 students with toothpaste, brushes and deodorant. 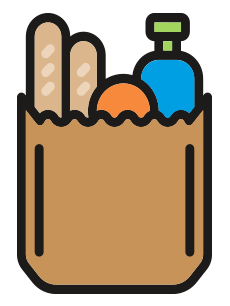 $50: Provides students with groceries for a week.